Photo © Brian Skerry. All rights reserved. Used with permission. to flat vines that float upwards and shimmer in sunlight like cities. 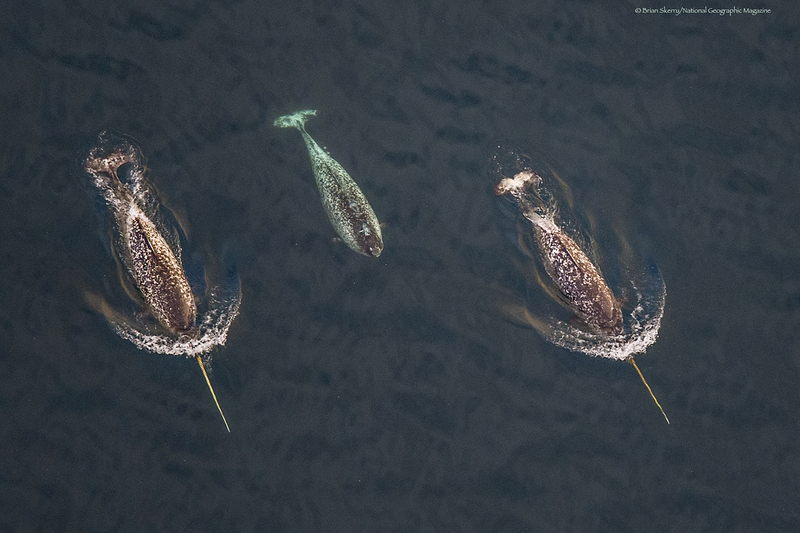 at all then to learn of a swimming unicorn whale: the narwhal. we’d see: that everywhere we suffer from wounds that need healing. the narwhals are headed there? Or perhaps they have already arrived? where we heed a wild call for full hearts and heroes to wake. © Laura Parker Roerden. All rights reserved.